With the release of their second full length album Hard to Leave, The Necessary Gentlemen are branching out from their familiar roots to create a new Americana sound that represents the band’s progression the last few years. “Hard to Leave was a fitting name for this album,” remarked Jon Skvarka, who fronts the band with vocalist Fefe Byram. “We were going through different transitions personally and professionally when we wrote and recorded these songs so the name fits as the overall theme really well. It was also hard to leave our acoustic sound that we had developed, but Jeff pushed us to a new level.” Jeff Widenhofer of madjac music produced the album and crafted a sound that appeals to those who love country, folk, Americana and even pop at times. With the band’s sound tightening from years of live shows, Skvarka’s intriguing lyrics and Widenhofer’s guidance and musicianship, (he lent his multi-instrumental talents to most songs) Hard to Leave is an album you won’t mind having on repeat and emphatically announces The Necessary Gentlemen’s arrival to the New Orleans music scene. Purchase on iTunes, Amazon, or in person at a show. 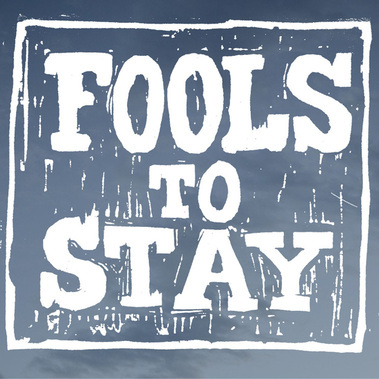 The Necessary Gentlemen recently released our full-length album, Fools to Stay. Since the recording of their debut EP, the band has expanded their personnel by adding three new members to the band and expanded their sound as well. This increased variety and breadth prove significant and have resulted in a broader, full sound than on their previous EP. Fans will find the re-recording of their previous favorites such as "Love, Anyway" and "Mary" to represent a band that has matured its sound over the last year. Many of the new songs like "Homecoming" and "Come Take Me Home" will have you tapping your foot and singing along and a live version of "Broken Hearts Bluegrass Club" captures the energy of their live performances in New Orleans. The sorrowful waltz, "Blue Collar Moon" showcases the vocals of Fefe Byram and explores themes familiar to the songwriting by Jon Skvarka. Pick up your copy or hear a sample on iTunes, Amazon, or find a rare physical copy from the band at their live shows.